AOA’s Self-Guided Havasu Falls packages are the next best thing to going guided! You take care of the permit, we provide everything else you need for an unforgettable camping adventure. We’ve taken 20 years of experience and knowledge operating in Havasupai and created the perfect setup of provisions to outfit your trip. Camping logistics and the planning can take away precious time from your vacation. 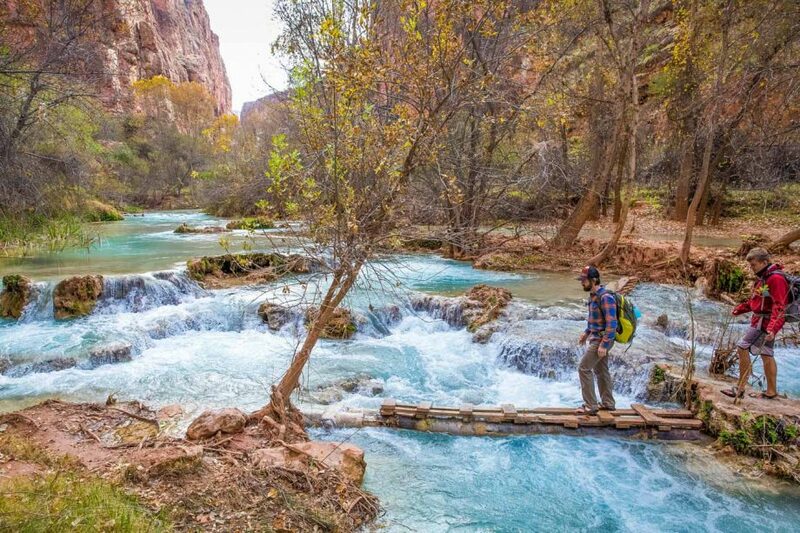 With this self-guided package for your hiking trip to Havasu Falls, we will efficiently pack your gear and food, plan all of the logistics, and provide instruction on everything from basic tent set-up to preparing delicious camp meals. 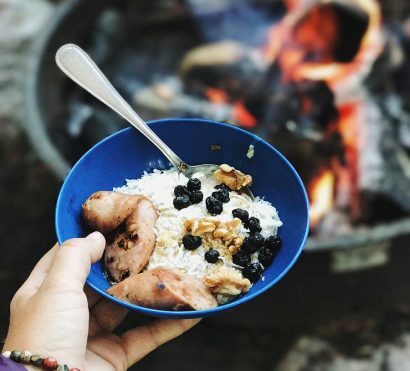 The standard self-guided package includes backpacking gear and meals. 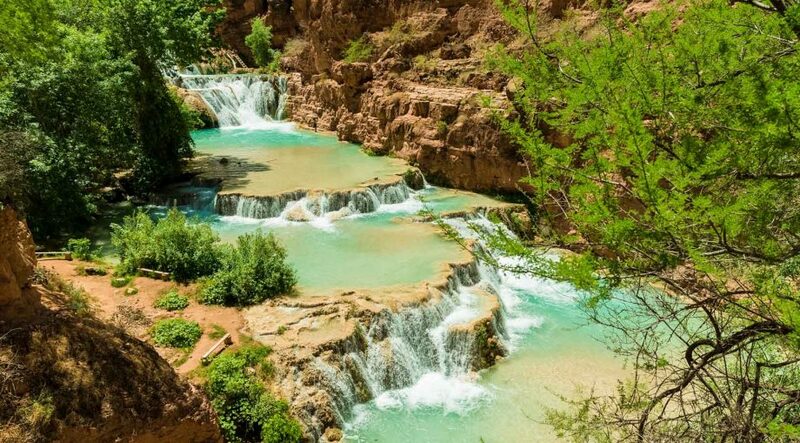 If you are looking for a painless, outfitted, self-guided experience to Havasu Falls, get in touch! 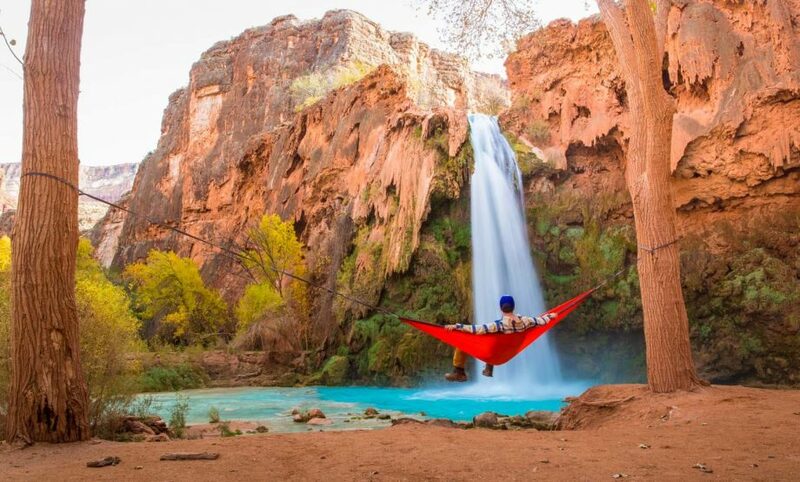 For all but the most experienced campers and larger groups, the Standard Self-Guided Havasu Falls package is the best fit (see deluxe version). For the vast majority of hikers our Standard Self-Guided Havasu Falls package will be a great fit. Those with lots of camping and cooking experience might prefer the Deluxe Self-Guided Havasu Falls package. As I’m sure you can imagine each group’s self-guided needs will vary so we’ll do a consultation with you to arrange rental gear pick-up and drop off. Most groups will likely pick up gear the day before they hike into Havasupai and drop it off the day they hike out. Trailhead delivery and pick-up is also a great option and is available for just gear or for gear and hikers. $995 per group – AOA gear delivery and pick up at the Havasupai trailhead. $1,195 per group – RT transportation of gear and group from the Phoenix area. 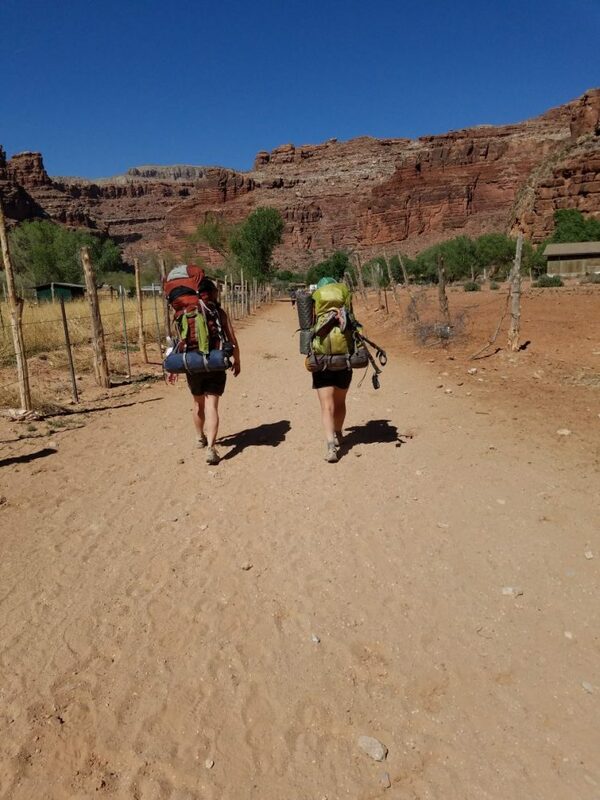 $400-800 – Packhorse service to transport AOA gear from Havasupai trailhead into and out of the canyon. Prices are subject to change at the discretion of the tribe and are dependent on your group size. 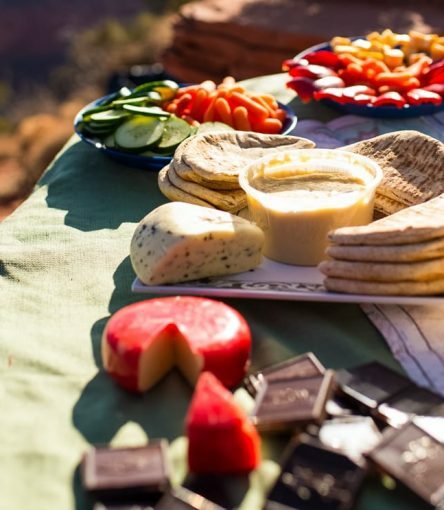 For the standard self-guided Havasu Falls package, you can expect backpacking-style meals. AOA can accommodate for specific dietary needs such as vegetarian, vegan, gluten free, and more as long as it is requested upon booking. 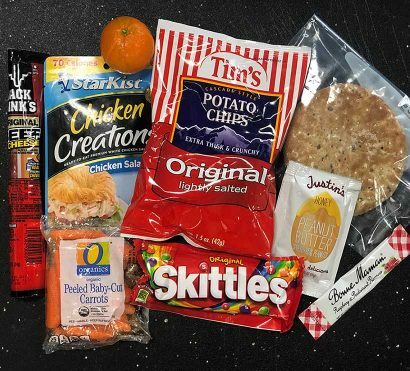 See below for examples of what you can expect for breakfasts, lunches, and dinners included in this package. A typical breakfast on the standard self-guided Havasu Falls menu is an “Oatmeal Buffet.” In addition to your standard oatmeal fare, our team has some tricks up their sleeve to spice up your oatmeal breakfast with an assortment of nutritious toppings, including options like: peanut butter, oranges, brown sugar, dried fruits, chopped nuts, and shredded coconut. A typical lunch on the standard self-guided Havasu Falls menu is an “Hiker’s Lunch.” Choose from options to build your own sandwich and get excited to discover our favorite bread options that keep well while backpacking, how to add flavor and interest to a sandwich, and Operations team’s secrets to turn your lunch into a complete meal without adding unnecessary weight. 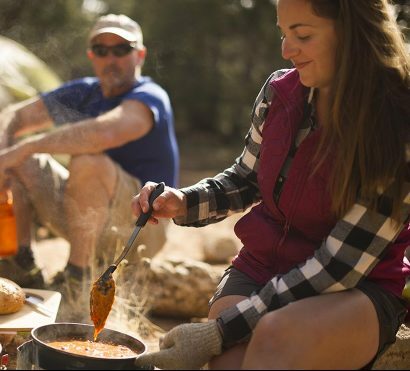 A typical dinner on the standard self-guided Havasu Falls menu is the “Creative Camper.” This is a delicious and nutritious backpacking meal that includes chicken and flavorful curry seasoning, and relies on a mix of grains (lentils, brown rice, and quinoa) to supplement your protein intake and provide the kind of fuel you need for long days of hiking. It’s easy to make and incredibly satisfying!